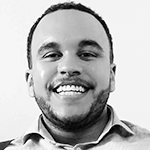 Retention or Recruitment – Is Your Method Working? You’ve probably heard it all before – to recruit better talent, you need to retain your existing talent. But despite common sense, and the wealth of information out there all cementing this basic business fact; it would appear that there are only a handful of companies attempting to make a difference in their recruitment process. Take for example the report by Oxford Economics, who found that replacing members of staff incurs up to £30,614 per employee. Put that amount of money into any other business context and you’d have your financial advisor on the phone asking questions. But because that sum doesn’t show up on a bank balance, businesses choose to ignore it. Recruiting for good talent is expensive, but it needn’t be. In the current FMCG jobs market, candidates are side-stepping between companies to develop their career because their existing employer provides little to no career progression. Job security still ranks 2nd within the top 5 of the most important criteria for candidates when choosing an employer; especially since the uncertainty that has arisen due to the potential Brexit. But this actually comes below salary and employee benefits. If you think just offering out the job is going to gain you candidates, you may have to re-think your strategy. Are you the most attractive employer out there? Perhaps it’s time you did your research because it’s a fact that candidates now want more than just a secure 9-5. Despite the economic situation, values such as work-life balance and flexible working arrangements have moved up in importance. And many FMCG sector employees chose pleasant working environments as the third most important attribute to their role. If you’re not making yourself an attractive employer, you are missing out on securing the top talent that’s available. The facts and benefits for retention are clear. The longer an employee is with your business, the more experience they will have in your industry and your approach to business, which can be an invaluable asset. Happy employees will be in a better position to talk about your business, and recommend your company to others who are considering applying for a position. Delivering high-quality work, and becoming a mentor to others, can all aid in helping to build your business. But neglect these driven employees, and they’ll leave you. Taking that knowledge and expertise along with them. By adopting a positive culture in your organisation, implementing collaborative management practices and making a commitment to employee development, you create satisfied employees who will become ambassadors of your business. Never forget that people talk. If a previous dissatisfied employee discusses your business with others, it could do reputational damage that is going to cost you extensively in recruitment later on down the line. Become an employer people want to work for, not avoid! While incentives and benefits packages will be a step in the right direction, don’t forget to update your recruitment process. Using the same outdated questions on every candidate will not give you any insight into the skills or character traits that they will be bring into your business. So adapt them accordingly, and find a recruitment agency who can give you updated guidelines and best practices. When recruitment becomes a regular process you have to ask yourself as a business what is going on internally for their to be such an increase in employee loss. 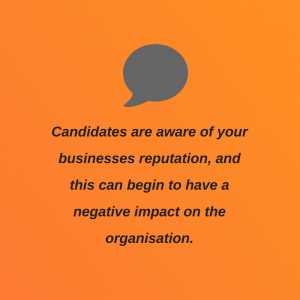 Continually recruiting for the same positions can be problematic for you as a business; candidates are aware of your businesses reputation, and this can begin to have a negative impact on the organisation. Retention is still by far the biggest key in recruiting top talent, it’s simply that many businesses have yet to put this knowledge into practice. Our in-house team is highly experienced in placing professionals into the Food, FMCG and Engineering sectors. We work with leading SMEs and global organisations across the UK and internationally.